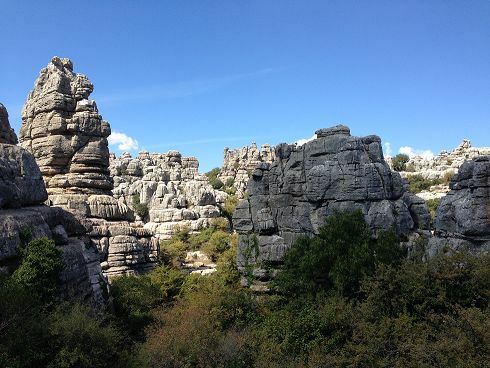 A recent journey to Spain’s Andalusia region led me to a remarkable place – El Torcal de Antequera, a nature reserve located in the Sierra del Torcal mountain range. 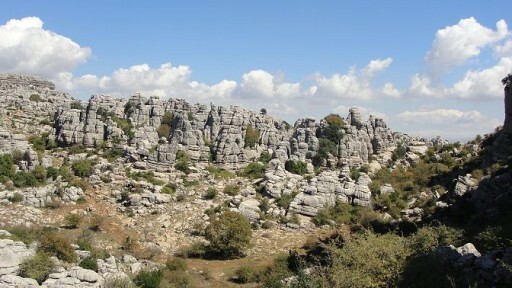 A Seussian landscape of karst, pine trees and wild flowers, with limestone pillars taking on all sorts of bizarre shapes, El Torcal is a visual treat just in its geologic makeup alone. 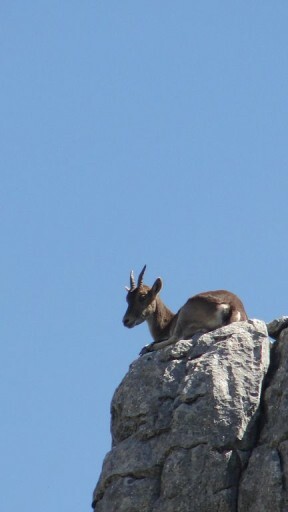 But the real treat was catching glimpses of the wonderful Iberian or Spanish Ibex – more specifically, the sub-species Southwestern Spanish Ibex (Capra pyrenaica hispanica). 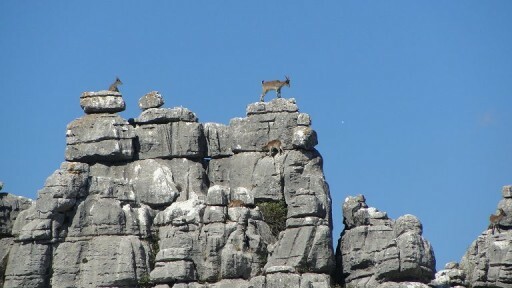 These nimble critters must have some sort of adhesive emanating from their hooves – watching them move up and down the sides of the limestone cliffs was something else! These beautiful endemic ungulates range across various Andalusian mountain ranges, and are one of two surviving sub-species of Iberian ibex (the other sub-species ranging more in the Portugal region). Why not known as an endangered species, the fact that they’re only found in this part of the world made for quite exciting viewing. Hiking through this crazy labyrinth, we watched Griffon vultures (Gyps fulvusI) and some species of eagle (Golden? Bonelli’s?) soaring overhead. Butterflies of all colors flitted about. 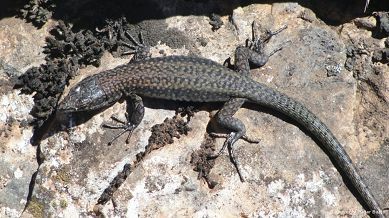 Common wall lizards (Podarcis muralis) like this one scampered through the little niches between the rocks. A small animal paradise for sure. 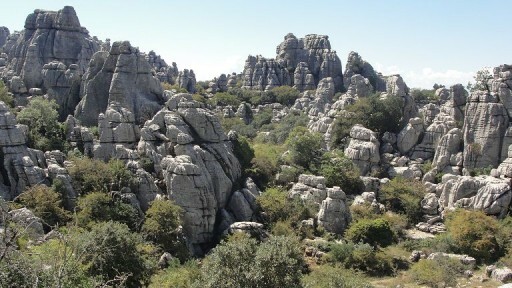 El Torcal is a must-see if you’re in Spain. Learn more here: torcaldeantequera.com. Excelsior!